Actually you can use regular yogurt but of course it's no longer dairy free. Coyo is a great alternative if you have lactose intolerance. You can check out how to make Coyo (Vegan Coconut Yogurt) here. 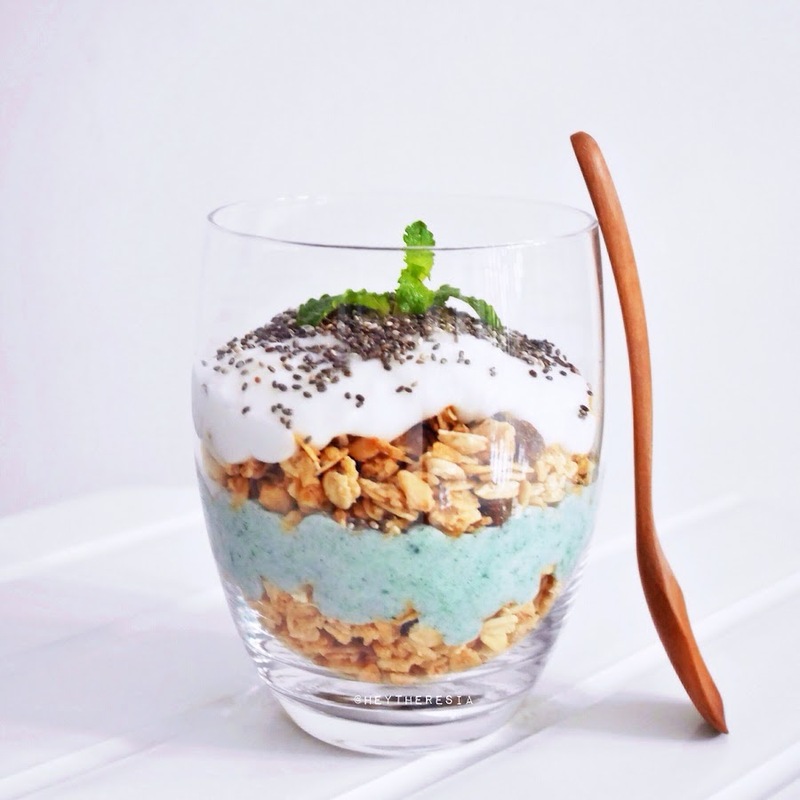 To make this parfait mix the Coyo with spirulina, add water if it's too thick. Layer the yogurt, granola or muesli, fruits, and topped with seeds. Eat your superfood!